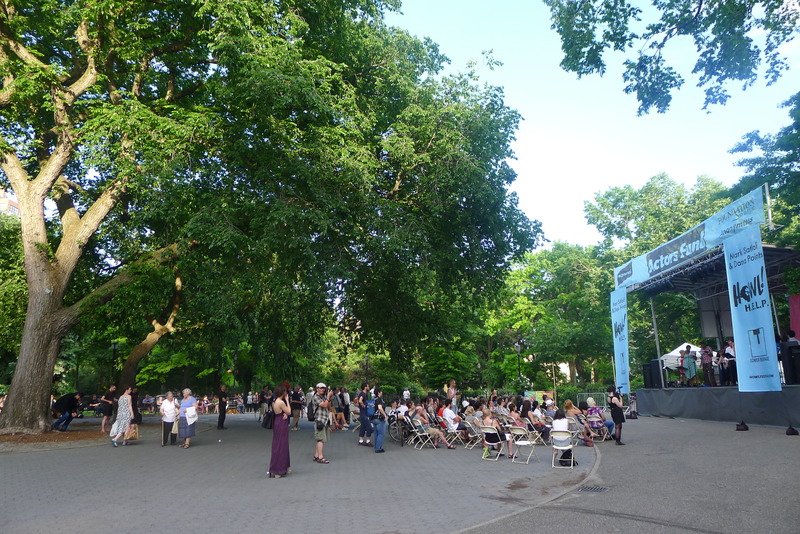 A few months ago, I visited an Allen Ginsberg photography exhibit at NYU. 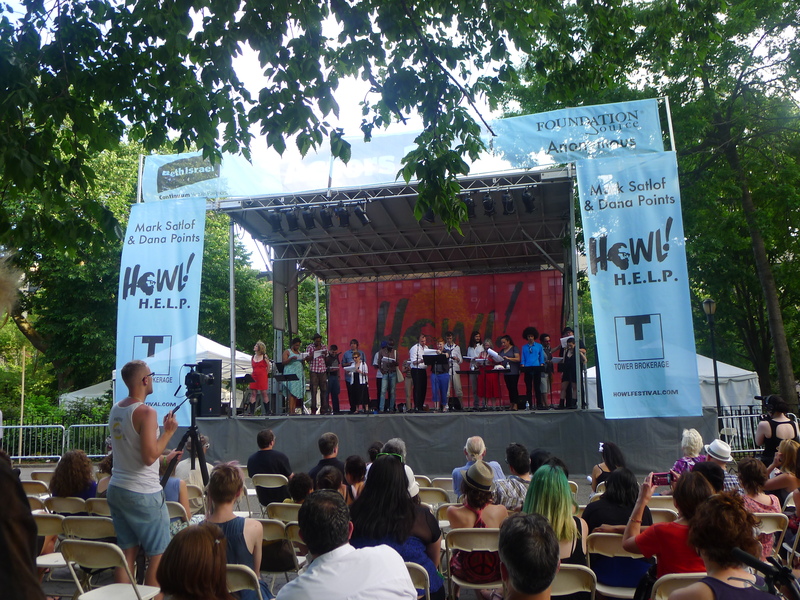 Today I celebrated what he’s best known for – his mammoth poem, Howl. 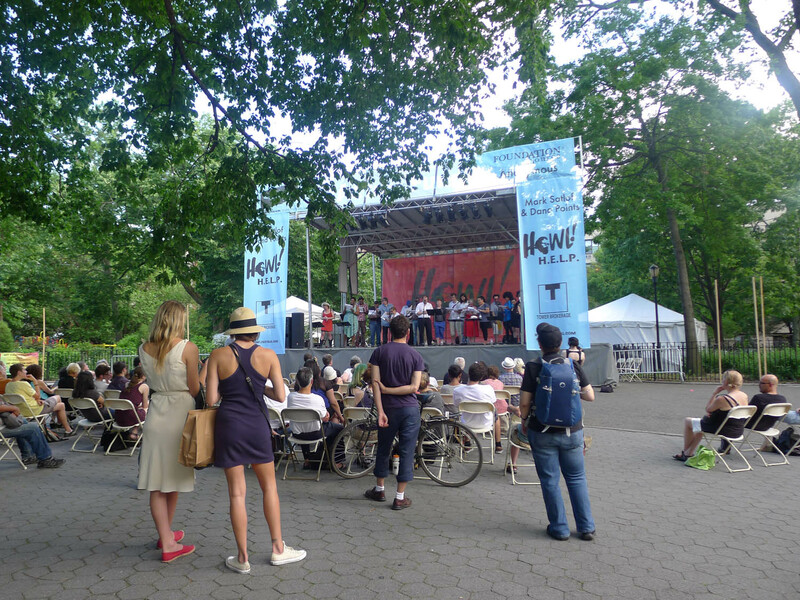 The poem, which paints a vivid picture of the perversity, hubbub and loneliness of a grimy New York, is being appreciated at Tompkins Square Park all weekend at a Howl Festival. 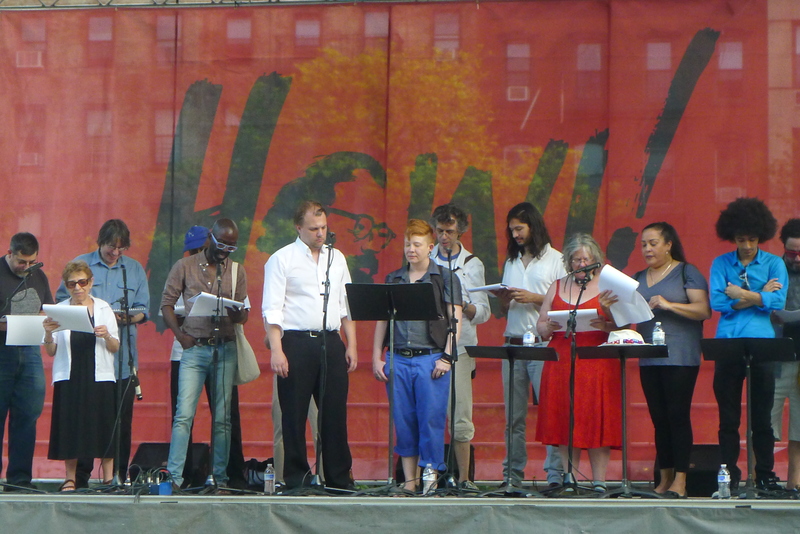 Tonight, this involved a live group reading by New York poets in the centre of the park. It’s been about ten years since I read the poem, and about three since I saw the film starring James Franco. While I thought I could appreciate it then, hearing it again for the first time since I’ve moved to the city allowed me to understand it so much more. When the lines scathed about the Bowery or the Brooklyn Bridge, I actually knew what he was talking about – and could picture the dirt clearer. God, it’s frickin good. The poets put on a pretty good show. Some were definitely into it more than some of the others, and of course they’re all a lot of bohemians which meant the whole thing was terribly organized. But it was fun. The best moments came when they overlapped lines or chanted them together, creating this huge roar. The audience seemed to be taken with it. I did feel a bit awkward when they were saying the naughty c word in front of all of teeny children, though.